Attend this US Navy supported underwater robotics competition! 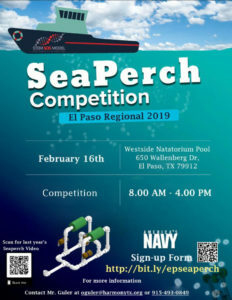 This US Navy supported event is a regional qualifier where teams move on to the national competition! We have great press coverage and teams participating from throughout the Southwest. Come and learn more about how robotics, students and the US Navy work in conjunction to help promote STEM education!